When this Bally Mata Hari EM backglass walked in, we knew we were in for some work. 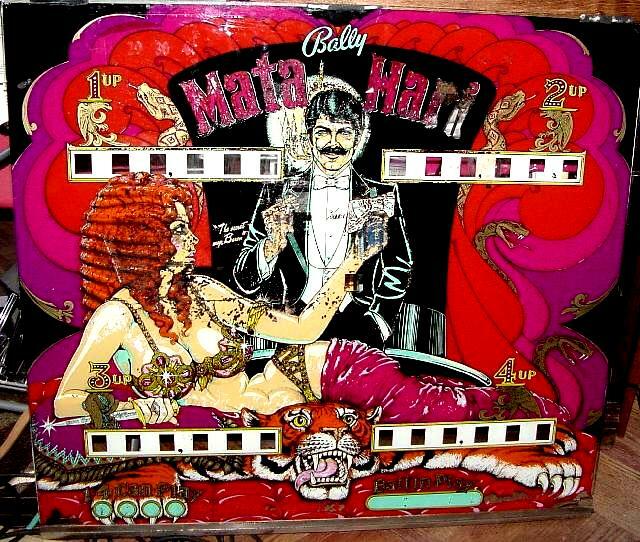 Now Mata Hari EM games are rare, so the chance of finding another glass in better condition was like zero percent. So what we did was to scan a good SS version, and overlay the EM vitals on top of the SS glass. The colors had to be changed too (the EM colors are different.) The result we think came out pretty good. Here’s the before and after pictures.